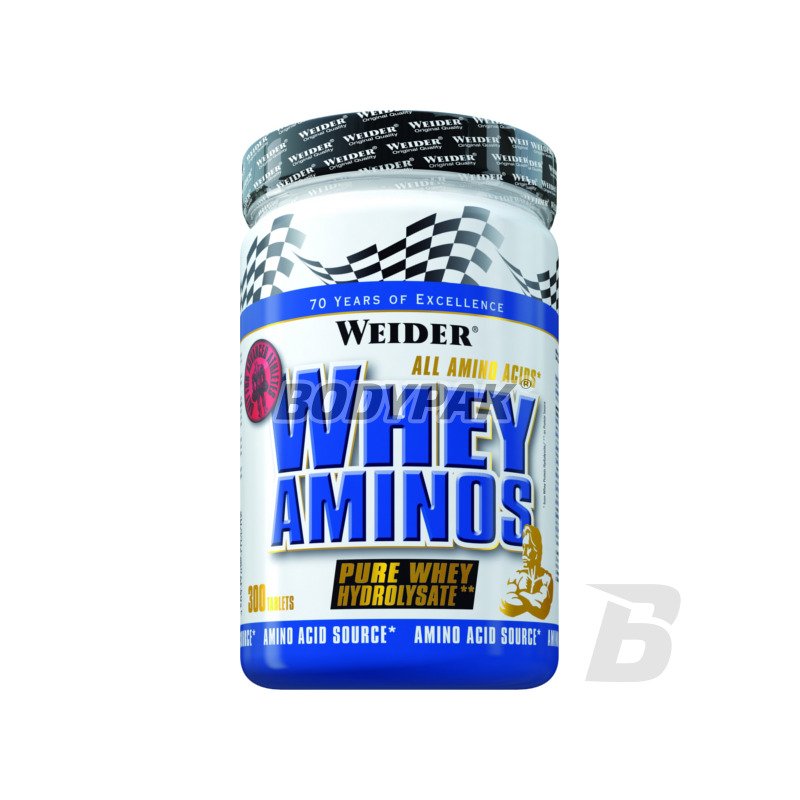 Amino AcidsWeider Whey Aminos - 300 tabl. 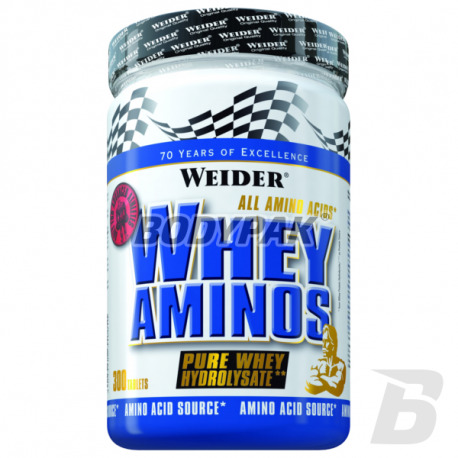 Weider Whey Aminos - 300 tabl. A complex of 18 amino acids, including 8 exogenous (necessary), which facilitate the regeneration of the body rebuild damaged muscle fibers inhibit catabolism, as well as restore the necessary anabolic processes. Thanks to the product's Weider your body forgets what is the breakdown of muscle cells, as will be focused only on the synthesis of proteins (through a positive nitrogen balance). It is precisely this supplement you need if you dream about it, to extend the maximum muscle mass. There's absolutely no mention that it supports the development of strength, and accelerates regeneration. Weider Whey Aminos is recommended especially to those who spend most of their time doing sports and improving health. With a blend of amino acids contained in the product Whey Aminos will be able to reach your best form of life! Table 4-5. before training, Table 4-5. after training. Table 4-5. in the morning on an empty stomach. Składniki: 95% hydrolizat białka serwatki, woda, substancja przeciwzbrylająca: sole magnezowe kwasów tłuszczowych, dwutlenek krzemu. Może zawierać śladowe ilości: glutenu, soi, jaj. brak katabolizmu w trakcie treningu i lepsza regeneracja - wart stosowania! Swanson Free-Form L-Lysine 500mg - 300 kaps. Amix Glutamine + BCAA Capsules - 360 kaps.